KUALA LUMPUR: A man sustained severe injuries to his head and right hand after he was attacked by his neighbour at Persiaran Ampang Saujana on Wednesday evening. 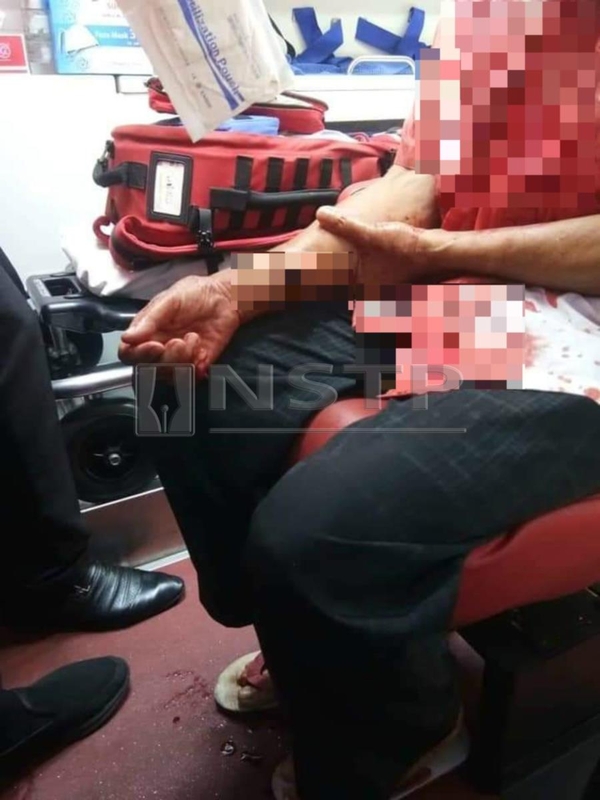 Ampang district police chief Assistant Commissioner Hamzah Alias said the assailant, who was was armed with a knife, began assaulting the victim at about 6.25pm. "The victim's wife, Zainudin Wahab, 59, said she heard a loud commotion outside her house. When she went out to investigate, she found her husband covered in blood. "The victim suffered severe injuries to his head and right hand. He told his wife that he was attacked by one of their neighbours," he said in a statement today. Hamzah said the victim's wife dialled 999 and lodged a police report immediately after the incident. He said a 41-year-old man was arrested to facilitate investigations. Police also confiscated a parang and two knives from the suspect. The case is being investigated under Section 326 of the Penal Code for voluntarily causing grievous hurt by dangerous weapons.